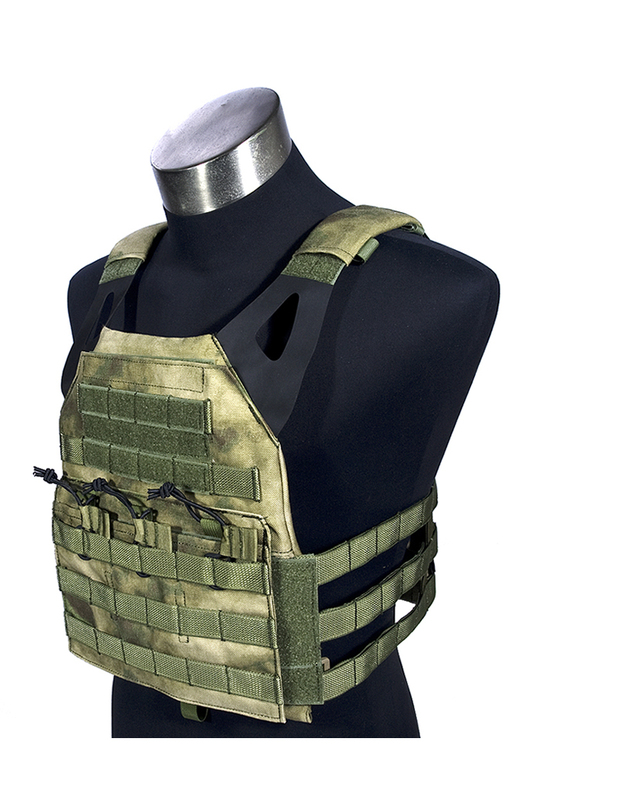 Designed for US Navy SEALS team, this plate carrier features a MOLLE system for attaching pouches and hydration bag in the back, size adjustable. Please note that plates are not included. Made of INVISTA 1000 D NYLON CORDURA, UTX-Durflex buclkes & snap buttons. Check out our NIJ IIIa Rated Panels below, our 11\'\' x 14\'\' panel and 10\'\' x 12\'\' Shooters cut fits this carrier\'s front and back pockets perfectly,if you are looking at side protection as well, the 6\'\'x8\'\' side panels will fit in the cummerbunds great.